Earl Copen: Better to reign in hell than to serve in heaven. Administered by Bug Music Inc.
Q: This Film Seems So Real, Is This Based Off A True Story? 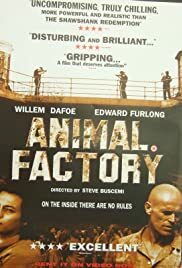 I liked Animal Factory, not really because it pays homage to Shawshank Redemption, but simply because of how dark and gritty the film is in portraying prison life. Violent, unnerving, shocking at times but still it holds a message that we house these people in prisons with poor quality with the real animals. Young offenders put in with experienced and hardened prisoners who manipulate them. My only issue was the duration of the film, I kinda get critical of short films especially ones I really enjoy and don't want to finish too quickly. I can't criticise the performances, as its one the strongest suits of the film with both Dafoe and Furlong. However to me it was Wiilem Dafoe who stole the screen for me, as to me he is an amazing actor. 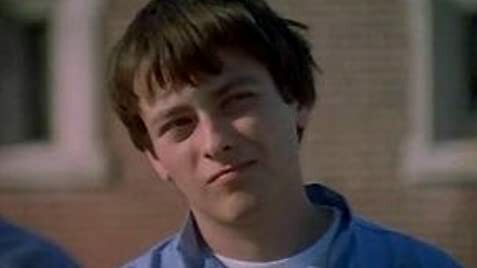 In the film, he portrayed a real down to earth man who had years of experience. All in all Animal Factory is an unknown film, but it more than made up for it in many ways. Had it not gone straight to DVD, and actually had some advertising and screened in cinemas it could have made a tidy profit. If you like your prison dramas, gritty and dark Animal Factory is your kind of thing.